Android TV brings rich app experiences and entertainment to the biggest screen in your house, and with Android O, we’re making it even easier for users to access content from their favorite apps. We’ve built a new, content-centric home screen experience for Android TV, and we’re bringing the Google Assistant to the platform as well. These features put content that users want to access a few clicks, or spoken words, away. 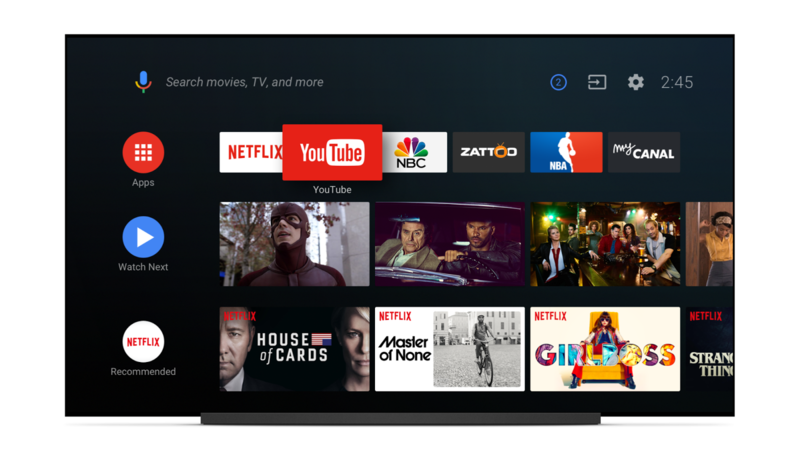 In addition to channels for you app, the top of the new Android TV home screen includes a quick launch bar for users’ favorite apps, and a special Watch Next channel. This channel contains programs based on the viewing habits of the user. Android TV app for Android O.
launch in the US on Android devices running M, N, and O. Developer Community on G+ to share you thoughts and ideas!